Tomorrow night (Thursday) is the last day to enter the My Job Chart Giveaway. 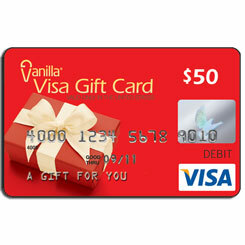 They are giving away one $50 Visa Gift Card. All you have to do is “LIKE” them on Facebook. No Strings Attached. RECIPES/FOOD now has a separate link. Please make sure to link your recipes separate. Dude, check out these crazy-awesome links from last weeks party! Check out these super cute and easy to make magnets! Craft Addiction shows how to make purdy glitter magnets. 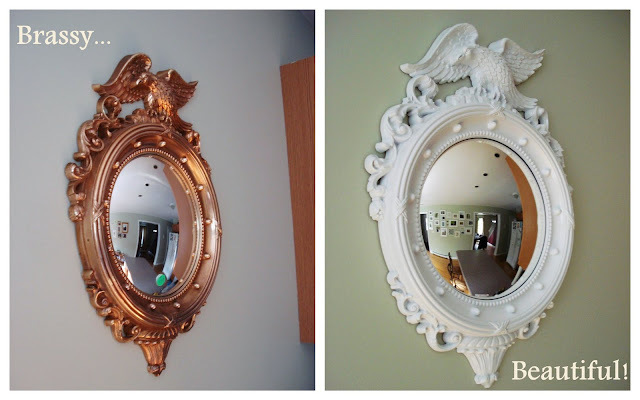 Heart Maine Home revamped a convex mirror from drab to fab! 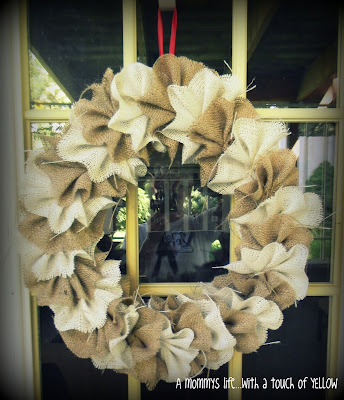 A Mommy’s Life with a touch of Yellow made a burlap wreath with a twist – she used alternating colors of burlap and I LOVE it! 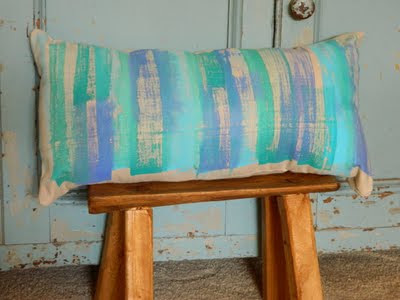 Sewright made and painted a pillow. Lovein’ the color combo. 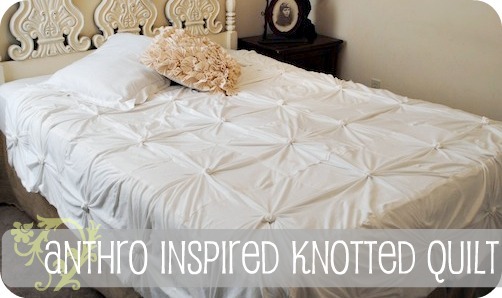 Check out this hand-made bedspread by Classy Clutter. Fabuloso job! I could eat this artwork by Classy Columbus Designs for dinner. It’s just perfect. 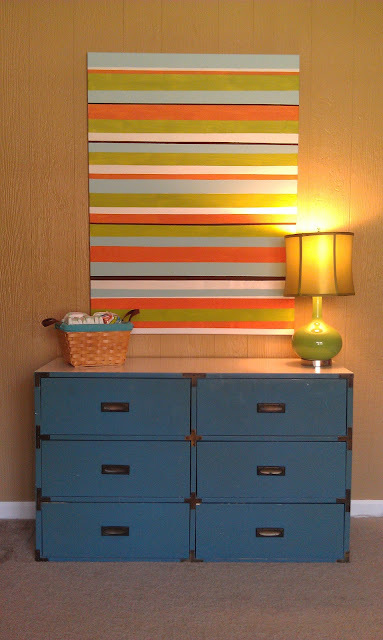 Okay, seriously, how cute is this cabinet by Pour Ameliorer? What a fun surprise when you open it up. 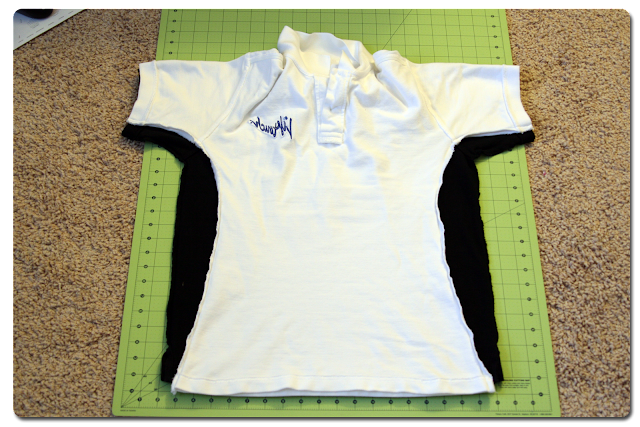 Haute To Sew shares an excellent tip on how to alter big shirts to fit properly. I definitely will be doing this! Blissfully Ever After covered her picture mats with burlap for added texture. Great idea. 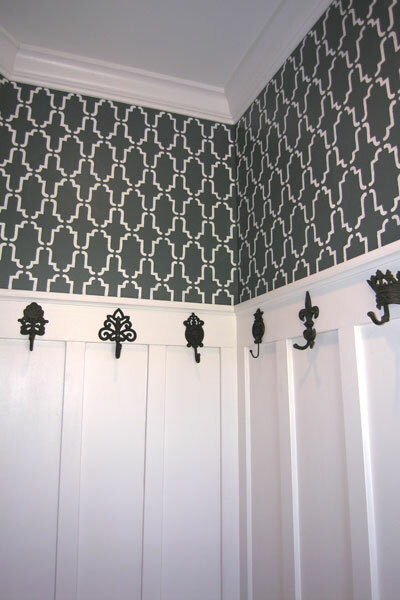 Krista Artista MADE her own stencil, then stenciled her entire wall. Plus I’m totally diggin’ all the hooks. Great room! Ohmigoshhhh, how ca-ute and yummy are these darling cupcake push-up pops by Pampers, Play Dates, & Parties? I’m dying. They are to die for. Love that convex mirror update! As always… Thanks for hosting! Thanks so much for hosting Allison!! I LOVE the features this week! 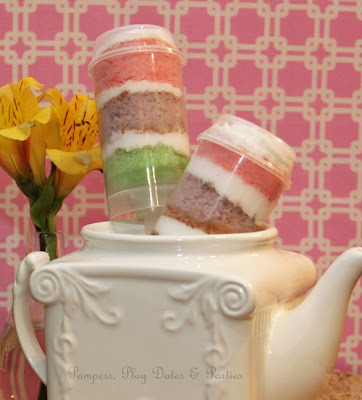 Thanks for hosting such a great linky each week…and thanks so much for the sweet comments on my cupcake shooters! thanks for hosting!! love the features! xox, d.
Oh what great features!! Love the mirror!! And those push up cakes are so yummy looking!! Great stuff!! 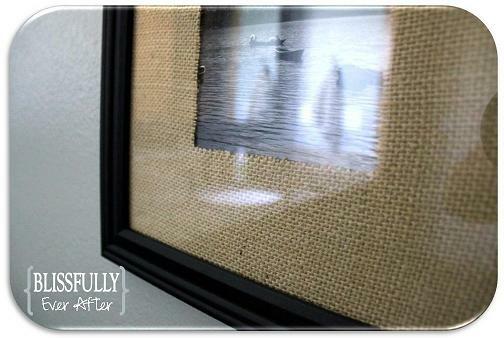 I looooove the burlap photo frame! Thank you so much for featuring my convex mirror!! I’m digging her (yes, it’s a she!) even more now that she’s all slick and white. All the other projects are so fabulous (so much burlap, yum!). I’m always amazed at how many creative and talented people there are. Thanks for hosting! It’s so awesome to see so many great ideas every week! Thank you so much for featuring me this week. I’m so excited, especially to be selected among such other great projects. Love your blog. Thanks for hosting. Ohh I love all the projects you picked– and that convex mirror is awesome!! I konw a lot of people hate them, but have you seen the way Phoebe Howard uses them? LOVE!! Thank~you for hosting!! Pretty features this week!! love all your featured posts love the pink painted under sink area one …very impressive! Thanks for your great linky parties ! 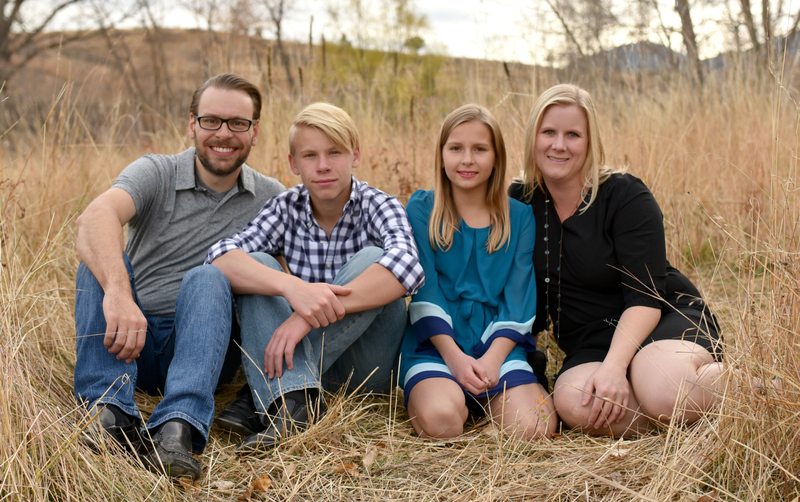 Thanks for the HUGE linky party…. I just might be here all week!! Thanks for hosting the party, Allison! Lots of talent linked up here. Doh. I just entered your contest re My Job Chart and then read that it closed on Thursday. Oh well. It’s still a great service that they provide:) Thanks for hosting the party!